We are going to look into the basics of website traffic. 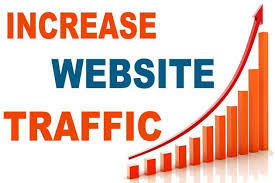 Website Traffic plays a vital role in any online business. To make it very simple, website traffic is the number of visitors visit’s your website. Some calculate website traffic based on visits, clicks and the session or timeline they stay on your website. 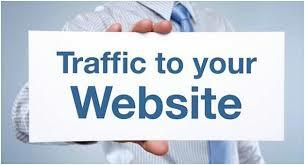 Website traffic is the essence and vital thing for any online business, without website traffic…. it’s like having a restaurant without customers, we are preparing all the kinds of stuff in order to sell or provide service to customers if we don’t have the customers means we are not serving the main purpose itself. So website traffic is very important for any website. Although we have a great product or service and great website with beautiful designs and layouts we don’t have the traffic means there is no use in it. If you don’t have a website you can build your own website within minutes for free. You can also read about building a website HERE. It’s easy and very simple. When a visitor directly enters your website address in his/her browser and access your website directly it is Direct traffic. In this case, mostly the visitor is well aware of your website content and service and mostly he/she visited your website already and interested. 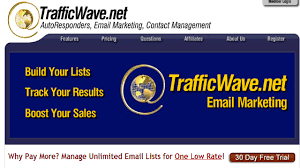 These direct traffic customers are potential customers but it’s not easy to create the direct traffic just like that, you need to invest a lot of time and effort. Once you are getting a significant number of visitors as direct traffic to your website, it means your website is growing and you are doing good. You can also promote your website offline like distributing pamphlets in order to get direct traffic also via advertisements. When a visitor comes to your website through an external link its referral traffic. Mainly this will happen or can be done via guest posting in others website, press release, forums (adding a signature of your website) etc. If you can do guest posting in others website, press release, forums you can generate referral traffic and usually in the initial stages (that is for a newbie) getting referral traffic is easier then generating a direct referral. When a visitor visits your site by searching through search engines such as Google, Bing, Yahoo, Ask.com, Aol.com etc it’s called organic traffic. Visitors come via organic traffic is very potential because these people are in need they are searching for the information/service and they have the need and also might have the knowledge of what they are searching for. It has been said that the organic traffic conversion rate is more compared to other types of traffics. You can generate more organic traffic by having quality content and frequently updated content on your website. Many generate more traffic to their sites via eyeing the organic traffic by writing keyword rich content. Generally, I would suggest you to provide quality content by which your visitors will be satisfied and if you provide the quality and right information to the organic traffic visitors, he/she will turn as a direct traffic visitor. In Social traffic the visitors come via social websites like Facebook, Twitter, Linkedin, Pinterest, Instagram etc. When you post your link or information on your social media account and through that if a person is redirected to your site that’s social traffic. You need to build a large network and following which will take some time and mainly you need to build relationship and trust in order to succeed on social traffic. Once you are able to work on building a big network and following, you can get more traffic from social websites which will be one of your main source of traffic going forward. Dear friend, also I like to add here… Mostly people in the social websites are not there to buy products hope you understand so in order to attract them you need to use creative ways catching their attention. It’s simple when you get a visitor to visit your website via paying source. When you paid for the advertisement of your website and He/she visit your website via that channel its called paid traffic. For the beginners, it is advisable to focus on the free traffic sources in the beginning rather going for the paid traffic. Once you earned some money you can focus on paid advertising. When you don’t pay any money to get a traffic its free traffic but you need to invest time and energy because nothing is free here. If you are newbie I would strongly advise you to go for free traffic methods and once you earn some money then you can go for paid traffic. Write quality content in your website. Guest writing in others blogs. I just shared the basic’s and I would recommend you to study more about SEO Search Engine Optimization and many ways to increase free traffic to your website because in online business you need to keep learning and need to be up to date. Also, I will be adding more information here so please come back often. You can read my review on my NUMBER ONE RECOMMENDATION HERE. Need help with anything I discussed here? If we work on backlinks daily can we get traffic ? Yes, Backlinks plays a vital role although many say it’s dead and it’s useless. I have written a post on the importance of Backlinks you can read it HERE. 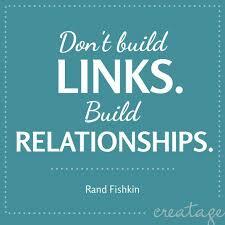 I hope you will get new insights from my Importance of Backlinks post. This was a very informative article about website traffic. I enjoyed it, especially the infographics. And I really never thought about the traffic ‘breakdown’ as you explained – and did so very well. Yes, as an online business owner, traffic drives sales, so yes – you really need to know how to drive the traffic where you need it. As you rightly said we need to know how to drive traffic for our business success. 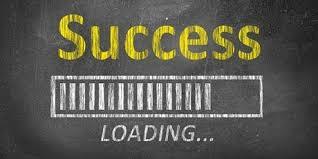 Traffic is the key to our success, without traffic we can’t get any desired results. What a really good breakdown and description of all the different kinds of traffic, where they come form and how to increase traffic. Thank you! Wow, you really provided a lot of great ways to get traffic to your website. They all are equally as important. Your information is very helpful, especially for a newbie like me. Being consistent with everything you do is also wise. Consistency is the key, its not about doing one or two days its about doing it regularly. We need to have a work schedule and we need to follow it daily without fail.